- Interpretation program, services and media evaluation. Interpretive panel critiquing - Slovenia Naitonal Parks (left) - evaluation of interpretive program and interpretive presentation techniques (US Army Corps of Engineers training course - center - interpretive trail media guidelines - right). This includes critique and analysis of live interpretive programs, interpretive media such as panels and self-guiding materials, and total intepretie services program staffing and operational needs. - Pre-post testing evaluation for interpretive exhibits. Exhibit pre and post testing evalluation (left and center) - interpretive exhibit pre-testing evaluation for the Cleveland Zoo - right photo. This service is offered at the beginning of new exhibit projects evaluation of interpretive exhibit mock-ups such as the photos above, or a evaluation of existing interpretive exhibits that may be in need of updating and re-hab. - Visitor studies and marketing research. Who are your visitors and market groups, what products, services and experience do they want?. What are their travel needs or challenges, wayfinding needs, expectations and more? 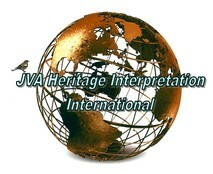 JVA interpretive training course on developing visitor survey questionnaires and research for the Budapest World Heritage Site (including participants doing a visitor survey study to pre-test the questionnaire design). 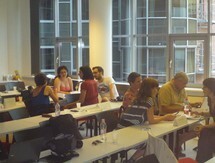 We also have a on-line course on creating new site marketing brouchures. For what they cost - do they pay for themselves and then make a profet (i.e. bring in new visitors)? - Heritage Tourism Development and feasibility analysis. If you build it - will they really come - when and how often? What are their willingness to pay for your interpretive experiences? Your overhead costs vs. revenue analysis. Real dollar and cents analysis for long term operational (and cash flow) success. - Feasibility analysis for site/facility expansions. Follows same approach as above. 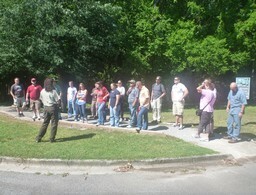 Can you find the "secret interpretive evaluator" in this pic? 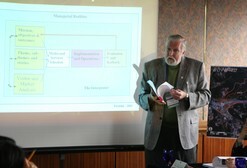 Prof. John Veverka - Lead Interpretive Assessment & Research Consultant. - B.S and M.S in Heritage Interpretation - The Ohio State University (Taught a course on Interpretive Master Planning - wrote the first Interpretive Planning Text book). - Associate Editor, The Journal of Interpretation Research (NAI). - Senior Instructor, Kansas State University - Global Campus (Interpretive Planning). Personal Research Focus - Visitor motivations and expectations for selecting and attending interpretive programs and experiences. Our new Secret Interpreter Program is sort of like a secret shopper program, and provides sites, agencies and organizations an opportunity to have a non-biased and professional assessment (and problem analysis) of their total site customer care, wayfinding and interpretive services operations. Day One - Meet with the agency/organization site director and senior staff to learn the main interpretive mission, objectives and concerns of the staff to be part of the site/program review. Develop a "issue" or concerns list to address as part of the on-site review. 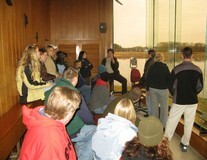 Day Two - Site visit and critique from site entrance, welcome, orientation, view and observe visitor movements, attend live interpretive tours or programs, informally chat with education interpretive staff, docents, volunteers - to other on site services (food service, wayfinding, etc.). This assessment is done as a "secret visitor" just enjoying the site and programs as any visitor would. Day Three - Meeting with site director and senior staff for a debriefing of the previous days site visit and assessment. What worked well, what needs improvements, and recommendations for changes and improvements with any live interpretive programs, tours or visitor contacts. This will be followed up with a written experience assessment. 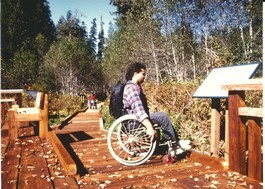 * Option for follow up interpretive staff positive coaching and training is available. Costs: Interpretive Assessment Program - 3 days as noted: $2,400.00 plus travel. We are always flexible and can modify this service to match individual site objectives, missions and issues that would be part of the site assessment. 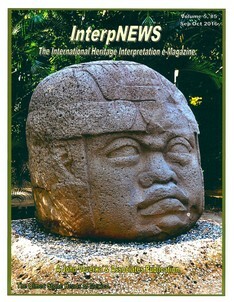 - Publishers of InterpNEWS - the International Heritage Interpretation e-Magazine. http://www.heritageinterp.com/interpretation_book_store.html You can review the current and back issues at: www.issue.com/interpnews. One of our upcoming issue covers. If you would like to talk more about our evaluation and assessment services please feel free to get in touch.